NODA & SUGIMOTO was founded as a joint patent firm under the partnership of Masashi NODA and Shuji SUGIMOTO on September 1, 1989 in the center of Osaka, the second biggest city in Japan after Tokyo. 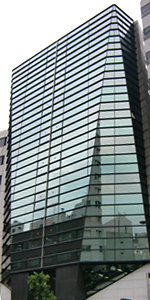 Six months before the foundation of the firm, Mr. Masashi NODA had founded NODA PATENT OFFICE in Osaka. And Mr. Shuji SUGIMOTO joined Mr. NODA to establish the present joint patent firm, NODA & SUGIMOTO. Since the foundation, we have expanded our office and marked the 20th anniversary on September 01, 2009. We now have about 25 staffs including eight patent attorneys and four engineers. NODA & SUGIMOTO has been serving clients mainly in the field of patents of mechanics, electronics, computers, chemistry and biochemistry.Design patents and trademarks are also in our service areas. Our domestic clients include manufacturers of Bearings, Motorcycles, Jet Engines, Electric Weighing Machines, Computer-Controlled Machine Tools, Electric Connectors, X-ray Analyzers, Polymer products, Medical Devices, Electric Power Units and Transformers, Dwelling Houses, Steam Traps and Steam Valves. We handle many outgoing overseas cases from domestic clients as well as incoming overseas cases. 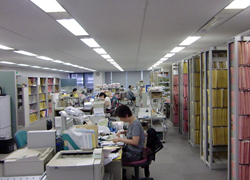 Among our clients are included Japanese big companies as well as distinguished US universities. We make it our policy to serve our clients with our well analyzed advices and proposals at reasonable prices.